Think a Disney vacation is just for the kids? 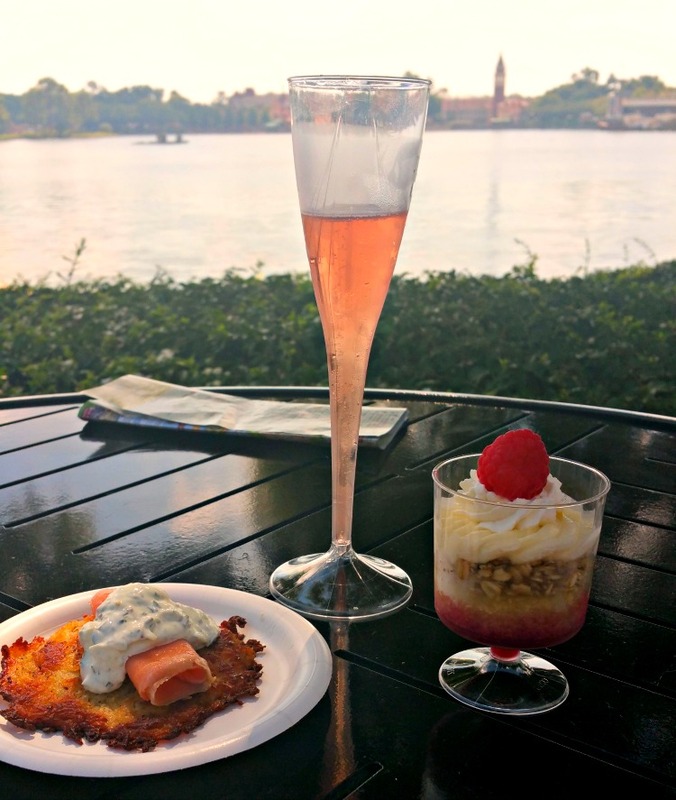 Our LongWeekend TravelingMom shares why Epcot International Food and Wine Festival is the perfect Disney girlfriend getaway. Mark the Epcot Food and Wine Festival 2018 dates, check the schedules and grab your girlfriends for an amazing experience. 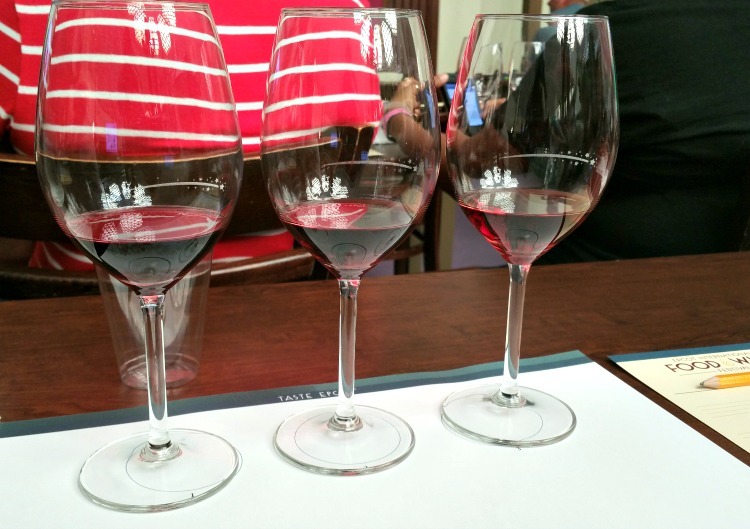 Be sure to consider her Epcot Food and Wine Festival tips to make it worth your while. 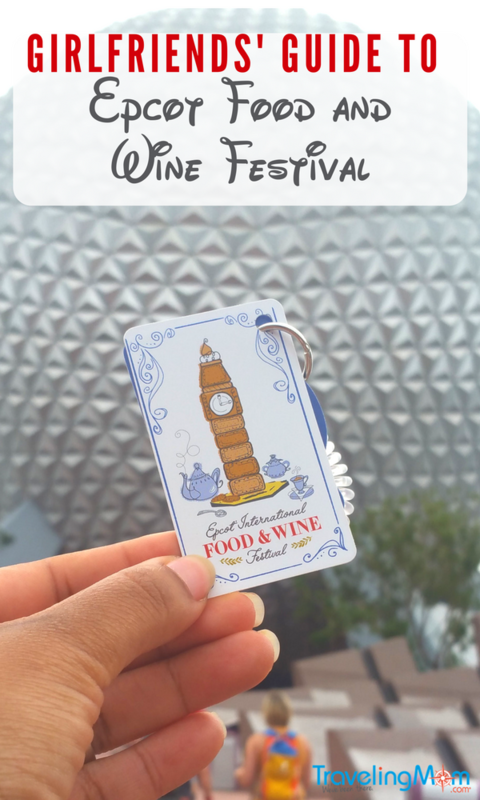 Why is the Epcot International Food and Wine Festival the absolute Best Disney Girlfriend Getaway? The Epcot Food and Wine Festival is a food and wine festival for the home chef-foodie wanna-be. Why do I love it so much? First off, it’s an easy festival to do, but the quality of food IS amazing. Other food festival special events include celebrity chef appearances, hands-on tastings, educational sessions, and even the Beat concert series. The admission to the festival is included with your admission to the park so it’s affordable. Each booth (total of 35 in 2017) has its own menu of food and drink items. Purchase items a la carte based on what you’re looking to try. I’m a huge fan of seafood but one of my friends wasn’t. She didn’t have to pay for something she wouldn’t try. TravelingMom Tip: Buy the Festival Gift Card that comes with a wristband. It’s easier to load it and wear it as opposed to pulling out money at each booth. If you have money left, you can use it any other Disney location. It is the Epcot International Food and Wine Festival and the international aspect of Epcot shines through during the festival. One of the things that amazed me is how each bite is authentic tastes of the regions represented while bring prepared in mass quantities AND available without a wait. From the paella in the Spanish booth to the lamb chops in the Australian booth, every item was prepared almost perfect – even the more difficult items like seafood. Secondly, there are lots of special events. Every evening, there is the Eat to the Beat Concert Series. 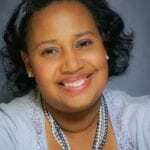 Artists are well-known favorites and range from Kenny G, American Authors, Boys II Men, and Tiffany. If your favorite artist is on the list, make sure to attend because you’ll be able to get close enough to really see them at one of the three shows. There are also plenty of celebrity chef appearances. Some appearances require extra tickets but other are free! Finally, it’s a perfect Disney Girlfriend Getaway because as wonderful as everything sounds, when you bring a girlfriend or two along, you’ll have someone to share your food with. A friend and I who have similar tastes took turns purchasing and offering each other bites. It worked out wonderfully. (Before you go, check out the best snacks at Epcot! Most Important of the Epcot Food and Wine Festival tips? Leave the kids at home! I might be a little bit biased but the Food and Wine Festival is one trip that you need to leave the kids home. (Full disclosure: Epcot is my family’s favorite park so I do feel just a little guilty about doing this.) The main reason why I suggest leaving the kids at home is because if you do it in one day, it’s a very full day! During our day this year, my girlfriends and I did 23,000 Fitbit steps. That’s just over 11 miles. I would never be able to cover that amount of ground with my kids. Secondly, it’s truly a FOOD and WINE festival. When I’m managing my family, I’m just not as attentive to savoring the flavors of a dish or glass of wine. I’m more concerned with keeping up with my kids than appreciating the subtle hints of a cayenne and cocoa dessert. If you do decide to bring the kids along, that’s another family vacation adventure. You can see the tips for that trip here. 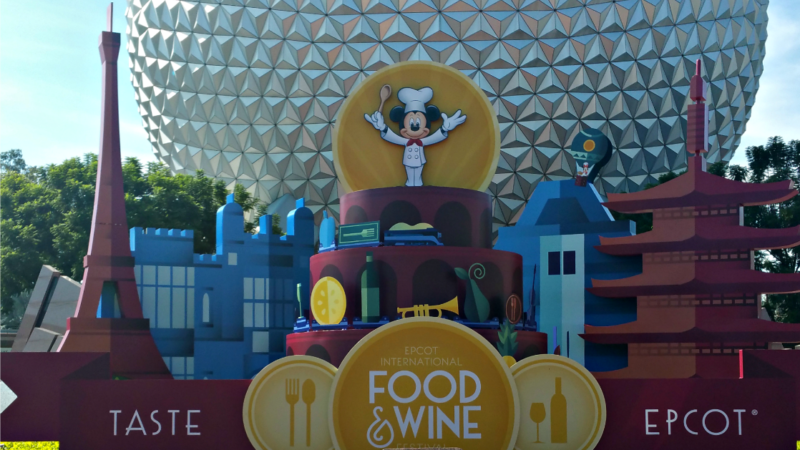 What are the Epcot Food and Wine Festival 2018 Dates? 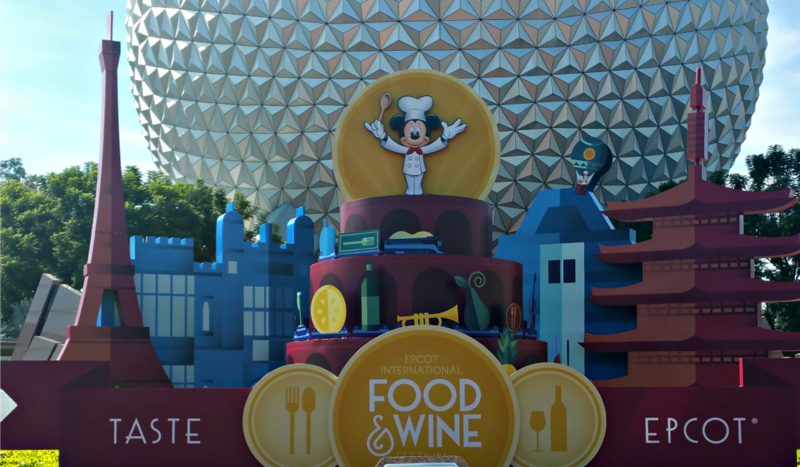 Epcot Food and Wine Festival 2018 will begin on August 30 to November 12. The festival typically begins in September and runs until mid-November. For those planners, the dates for are typically shared in the Spring. The best time to go to Epcot Food and Wine are weekdays early in the Festival. On the weekends and towards the evening, the crowds get fuller. Even at its fullest, you won’t have to wait long for food, but seating can be more of a challenge. Because food is such a personal experience, I can’t give you the best touring plan. Here are a few Dos/Don’ts that I would suggest to help you build your Epcot Touring Plan. DO: Plan YOUR must eat booths/countries. Pace yourself because there are so many different options. The full listing of booths will be online and you can judge accordingly. Be adventurous and choose your something out of the norm for you. I tried an escargot croissant and was pleasantly surprised. While the majority of the food booths are included in the World Showcase, you can also discover some amazing booths in Future World West. The Chew booth had a delicious ravioli the past two years. DO: Bring home a souvenir from your special trip. Make sure to visit the Festival Welcome Center to see the Festival wine glasses, cookbook, and other cool items to bring home. Also, don’t forget that it’s air-conditioned and you can get a break there. DON’T: Try your best to avoid visiting the booths closest to the Showcase Plaza during the evening. As families will gather to see Illuminations fireworks, this area will get even more crowded and you may not be able to get to your favorite. DON’T: Skip out on having fun. Wear a cheesey matching shirt or silly wineglass t-shirts. It’s not every day that you’re on a Disney Girlfriend Getaway so enjoy it to the fullest! Now, just go! Grab a girlfriend (or two) and go sipping and tasting at the Epcot Food and Wine Festival. Got tips? We’d love to hear from you! Share any of your Epcot Food and Wine Festival Tips in the comments below.